Many people do not know about probate until a person has died. When a person dies, their will and other legal assets have to go through the probate process. This is often done by a probate lawyer because the process can become very complicated. When family members are involved it can create tension so having a neutral third party can help the process along. 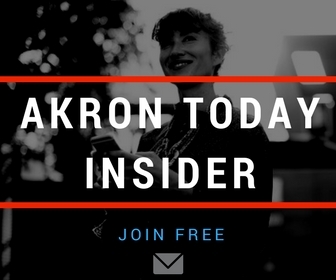 Akron families can protect themselves with planning and finding an Akron probate lawyer. When a person dies they leave behind debts, tax bills, property, and other assets. All of this is called a person’s estate. When a person dies with a will in place, by law the estate needs to be administered. This is done by a person called an executor. The executor will read the will and notify the beneficiaries that the process has begun. Many people do not understand that even if they die with a paid off home and cars that their debts still need to be resolved. This is why most probate lawyers ask people to give a specific percentage of their estate’s value to each beneficiary. This way it does not become too confusing to administer after the debts are paid off. This process can be lengthy because creditors need to be notified of the deceased person’s death. Some creditors will even ask for a death certificate as proof that the person has in fact passed away. If the person has a life insurance policy then that needs to be administered either by the insurance company itself or the executor. Some people decide to leave their life insurance proceeds to one person or to their estate so that it is divided equally among the beneficiaries. The first thing that needs to be done is to submit the will to the court in the state where the will was filed. A petition will need to be filed with the court that states the deceased person’s full name, if there is a will, and when the death occurred. Then, the court will review the information, appoint the executor of the estate, and see if a bond needs to be given to the estate. After this process is completed, people who are related to the deceased, those individuals named in the will, and creditors will be notified by mail that the court has received the will and that the estate is now being dealt with. After this, the probate process begins; it can take more than a year to get a will through this process. It depends on how well the parties that are involved deal with each other. If someone challenges the will then it can take years to close the probate process. When dealing with the probate process it is a good idea to consult a probate lawyer. They can help guide people through the process to make it easier and much less stressful.